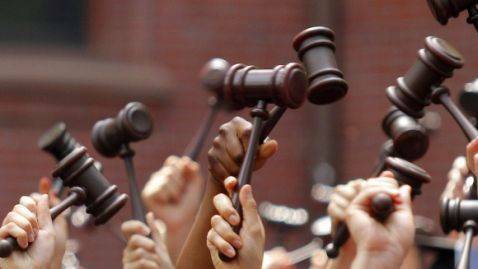 A struggling legal market has been blamed on how law schools are operating. Some reasons include that there are too many law schools in the country, that tuition is too high, that the schools do not teach practical skills, they do not provide truthful job stats and that they operate on loans that might not ever be repaid. Of those who responded, just nine percent gave their school a grade of “C” and one percent gave their school a grade of “D.” Not one respondent to the survey issued a grade to their law school of “F.” The survey was conducted by the Kaplan Bar Review in August and showed that three-fourths said that their law school was OK when it came to preparing them to take the bar exam. Over half (56 percent) of the graduates from the class of 2012 surveyed said that they did not have a job working in the legal industry. On the other side of things, 62 percent of the respondents did mention that they are confident they would be employed in the legal industry within the next three months.